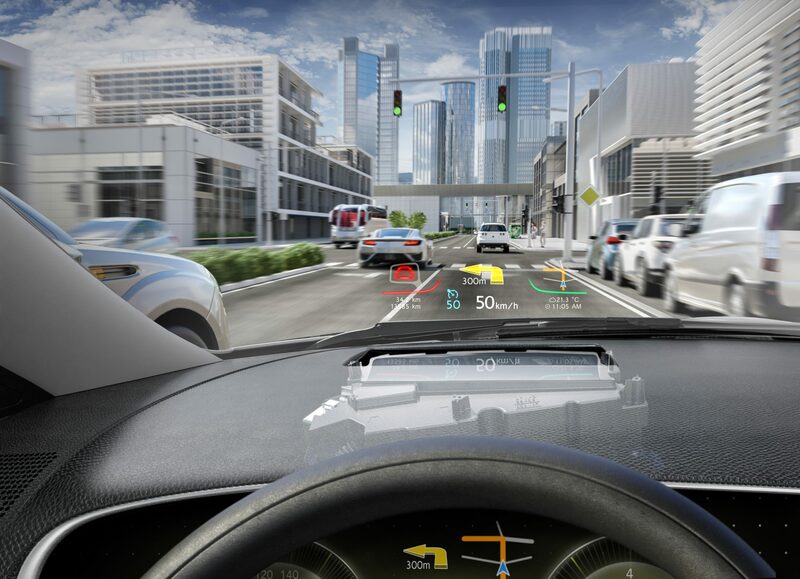 AUBURN HILLS — The Lincoln Motor Co. division of Ford Motor Co. has gone into production with a head-up display using digital micromirror device (DMD) technology from the German auto supplier Continental AG. The system was first integrated into the 2017 Lincoln Continental, followed by the 2018 Lincoln Navigator. Head-up displays show all relevant information in the driver’s field of vision, appearing to float at the bottom of the windshield, reducing driver distraction. Replacing previously used TFT LCD technology, the DMD generates graphical elements in the same way as digital cinema projectors, based on mirror optics and a picture generating unit. Thanks to an intermediate screen, sequential color management and a lens-based optical path, the image is brighter and sharper than with conventional head-up displays. The Lincoln head-up display is one of the brightest and largest in its class and allows drivers to see the display even through polarized sunglasses. And due to the increased display area, more information can be displayed from other elements of the human-machine interface. These characteristics then enable Lincoln to reduce redundancy between the head-up display and the instrument cluster. DMD technology also forms the basis for augmented reality head-up displays.